Over three generations ago Baqer Mohebi opened his first store in the old Dubai Souk in 1931. He created jobs, invigorated the local market and set the benchmark for a family business that, with his son Zainal Mohebi at the helm, has grown and prospered alongside Dubai’s own evolution. Today, as Zainal Mohebi Holdings (ZMH) prepares to celebrate its 85th year in business, CEO Mohammed Mohebi continues this robust legacy with his team and family. New facets are being added to the business models, ensuring that Mohebi remains a well-respected and forward-looking Emirati business enterprise. Foremost among these are the preparations of the new corporate headquarters and warehouse facilities in Dubai South (see also special article) that will bring the entire ZMH family under one roof. In parallel, the organisation is implementing a region-wide Mohebi Logistics educational programme involving UAE universities, academies and government sectors. It will offer young UAE Nationals the opportunity to gain a degree and work in the field of product logistics, while understanding its challenges and embracing its opportunities. Mohebi Logistics, an affiliate of the Zainal Mohebi Holdings, is due to move into the Group’s new corporate headquarters and main warehouses in Dubai South by 2017. 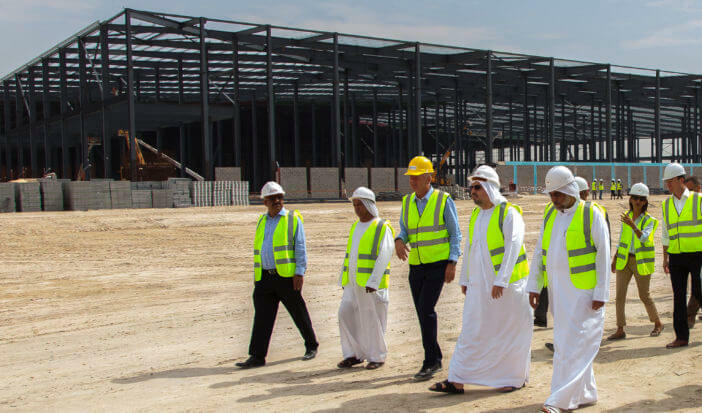 This new development, doubling its storage capacity, will make Mohebi Logistics one of the largest FMCG Logistics companies in the Middle East. At the heart of this expansion is the organisation’s support in helping to build a sustainable knowledge-based economy by developing human capital, training tomorrow’s leaders and offering opportunities for young Emiratis to diversify and be a part of the UAE’s flagship FMCG enterprise.